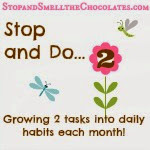 Stop and Smell the Chocolates: What to Say?...AND...A Giveaway!! Well, I do not have blogger's block - I just don't know what to say! I have many different topics that I could write on, but this morning I could not decide which direction to go in - there are too many to choose from. All of a sudden, I felt a bit lost and unsure of what type of posts are best for my blog - humorous? serious? about kids? about me? about chocolate? (well, I won't change that, actually!) about motherhood? recipes? tea?...or a mixture of all? So, I am humbly asking for your help. 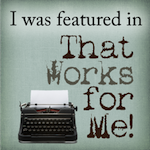 I would like to know what you like best about my blog - what brings you back? And to reward you for your feedback, I am having a little giveaway - enough goodies for a little Stop and Smell the Chocolates kind of break: some tea, some flavored coffee, and I will bake and send you some biscotti (double chocolate walnut biscotti or if you really don't like chocolate, you can ask me to bake you dried cranberry biscotti instead and I will still like you)! All you have to do to try and win is leave a comment telling me what your favorite post(s) is(are) and any other feedback you wish to add. You don't have to have a blog, but need to make sure and leave me contact info in case you win! Also, this is open to all, not just from the U.S.. One winner will randomly be selected and contacted and will have 4 days to respond or I'll have to choose a new winner. The giveaway will be open through Tuesday, June 3, to give you plenty of time to give me some feedback. The best part for you is that there aren't very many readers of my blog - so your odds of winning are good - ha,ha!! Thank you so much for stopping by and I appreciate your input and feedback. Have a blessed, chocolate-filled weekend! YAY! I'm the first one! I like your "how to" posts, like the one on the picture frames. I especially love your works-for-me wedndsay tips - you have some good ones! I am still new to your blog, but I enjoy "getting to know you!" I personally really enjoy interesting and unique facts. Things that make me think...make me what to be better, do better, live better. Gee, is that helpful? I hope so! This is my first time here, so I don't think I should qualify for the contest, but I will say I love your chocolate theme and I really liked your post below about displaying children's artwork. 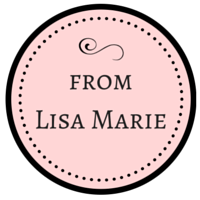 I love your blog and look forward to coming over to see what is new with you! I am by NO means a blogger expert, but I can tell you what has seemed to work for me! You might want to add a header to your blog. It seems the more personal you make your blog....in a safe way...the more interesting it is. Or not necessarily more interesting, but people can identify with you more! Does that make sense??? LOL! What I mean by safe is, I haven't put a picture of the front of my house, but then again many people have and it doesn't seem to be problem. I post pics of my kids, but just like the trophy my daughter won, I turned the trophy to the back, so noone could see their school's name...Just things like that...I guess you get my drift, huh? Personal, but not too personal! LOL!! (...I tend to be longwinded! LOL! Sorry!) But when I posted my header of shots from my home and kids, it made it more personal and I got more hits. And when I share more pictures of my home on the inside, decor, I get more comments on those posts it seems. BUT...I think your blog is great! You mix it up, and that makes it really interesting! I love your recipes, and I can't wait to see the reveal on your yard project...and your kids are precious! You have a witty way writing also! I think you are doing a great job! Hope this comment makes just a tad bit of sense! LOL! It is after midnight here, and I've been cleaning out the lake house all day...tired and probably a little crazy at this point! LOL! Since my comment is so long, does it count as maybe....3 entries for the give-away! LOL! Just kidding! I like to read ALL your blogs, but I think my favorites are the TEA for Tuesdays and the personal stories and ideas. Is Dave ready to do another yard yet? After discovering your blog about a month ago, I think, I have eagerly looked forward to your new postings. What I love most is its unique, interesting and varied. I think it is by far better than the so called 'experienced blogs' that just seem to ramble on and on about a whole lot of nothing. I loved all about the teapots and tearooms. I like the personal aspect you add through pictures, the recipes and the scripture of the day. Thank you for entertaining and informing me for the past month. Oh and thanks for your good advice. I just wanted to say thank you to all of you for your kind words and great input. I really appreciate it! Who doesn't love chocolate? I would love to win this delicious giveaway. What do I like best about your blog? Your link to mine, of course! LOL, kidding. But seriously, I love the simplicity, and the chocolate theme. I do think a snazzy ooey gooey chocolately header would be nice. I loved your post about Carmel, because I remember going there as a child. Fond memories! Sigh... I miss California! Thanks for visiting my blog and leaving a comment! I'm glad you enjoyed seeing some of my posts about my recent trip to Ireland. A lot of blogs I read talk about how they are decorating their homes, or discuss recipes, or display crafts they make. Honestly, I think blogs can be about any topic and interested readers will come. I love your "chocolate" theme, but I see that you also write about family and faith and tea -- all wonderful topics! I'd say be yourself and just enjoy it! Don't stress over trying to impress. I'll be back to visit again! Hey Lisa, thanks for stopping by. I must get some shuteye...late late late tonight and I have to get up at 4:30 to get into that office tomorrow morning. I'll be back...but what I did see I like. You are a good 'blogger' I am relatively new too..since March...I have a lot of posts but I just talk alot....about anything that makes me more sane....my way of journalling and getting it all out.